Despite these statistics, injuries from trampolines and bounce pads remain largely preventable. Following a few safety precautions can reduce the risk of injury or death. Some helpful safety tips are not allowing children under the age of six to jump in bounce houses, ensuring that the bounce house contains only a small group of children at once, having children of similar sizes bouncing at the same time, restricting tricks and horseplay on the bounce pad, confirming constant adult supervision of children playing in moon bounces, and requiring removal of jewelry and sharp objects when entering the bounce house. An injured child, or his or her parents, may be entitled to a damages award if the injury occurred because an individual possessed and breached his or her legal duty of care to children jumping on the bounce pad. For instance, if an injury occurs because of the deflation of an improperly manufactured bounce house or a bounce house that someone negligently set up, then a child may be entitled to financial compensation. Adult supervision is also key to preventing injuries. It is important to limit the number of children in the bounce house. Furthermore, smaller and younger children should not be in the bounce house with older and larger pre-teens and teens. 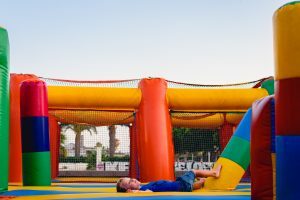 When an injury takes place as a result of improper maintenance, set up, supervision, or some other form of negligence, parents of a child injured in a bounce house or on a trampoline should consult an experienced Child Injury Attorney for legal advice as to the laws in place and recommended courses of action. 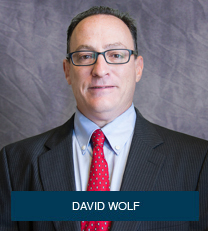 David Wolf is a personal injury attorney with over 28 years of experience in handling child injury cases. He is the author of 11 books including the book titled – The ABCs of Child Injury – Legal Rights of the Injured Child – What Every Parent Should Know. The book has chapters on Medical Care / Medical Bills, Damages / Compensation, Automobile Accidents, Day Care Center Injuries, School Injuries, Park and Playground Injuries, Theme Park and Amusement Park Injuries, Store – Shopping Center – Mall Injuries, Homeowner’s Insurance, Dog Bite Injuries, Swimming Pool – Water Parks – and Other Bodies of Water, Child Abuse and Neglect, and Sports and Recreational Injuries. You can get this book for free at The ABCs of Child Injury.